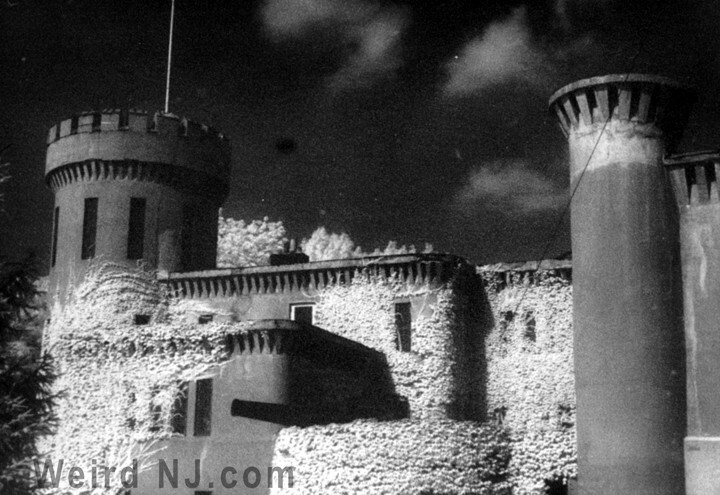 It kept a solemn and stoic vigil over the Watchung Mountain range for nearly 70 years until a mysterious fire brought the Castle Elisnore on Washington Valley Road down to the ground in 1969. More familiarly known as Moldenke’s Castle, the structure was built in 1900 and was fashioned after the Moldenke family castle in Denmark, and took over 30 years to complete. It was the home of Dr. Richard Moldenke, a metallurgist who decorated the estate with many historic artifacts from his family. Moldenke’s father was a world-famous Egyptolgist, and the Moldenke heritage could be traced back to the Third Crusade of Europe in 1189. The castle had 35 to 40 rooms. There was a huge entry hall that had two chandeliers made up of eight Civil War muskets each, and the house had more than 150 leaded glass diamond-shaped windows. Suits of armor, helmets, guns, and trophies of the chase adorned every wall. The library held thousands of books and the basement housed a machine shop, foundry and the laboratory Moldenke used for scientific studies. There was also a mausoleum with 21 crypts. And there were also rumors about the castle that circulated in the 1920’s. According to the Newark Sunday News (8/11/68), on one occasion, word got out that a huge KKK meeting was to be held at the castle. Carloads of anti-Kluxers parked at the castle in the middle of the night, preparing to stop the meeting. The men formed a line and edged slowly towards the castle. Suddenly gunfire broke out, and the men scrambled and headed back to their cars. It was later admitted by a Plainfield police sergeant that the incident was a hoax, and the police officer was responsible for the gunfire. (Although the article never reveals what the gunfire exchange was all about). Richard Moldenke died in 1930, and most of artifacts were sold off, save the family keepsakes. 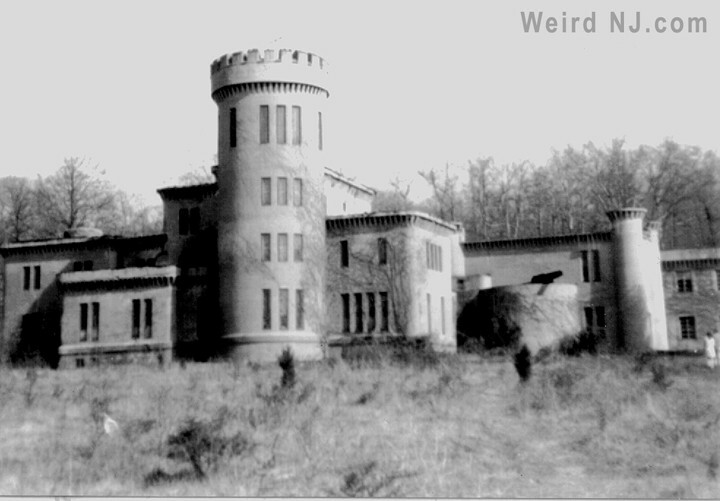 The Moldenke Castle was sold in 1945 to Dr. Jerome Herrick, a biological researcher. The property was eventually sold to a land development agency, much to the distress of the family. They did not want the property sub-divided. By the late 1960’s the castle was in disarray and vandalized, slowly being stripped of all the ornate woodwork and copper piping. Vandals had broken all of the windows and pushed the grand piano down the main corridor. All the delft tile work was torn off the walls and smashed. Cars would literally park outside the castle and people were seen walking in and out of it, taking what they could, and smashing everything that remained. 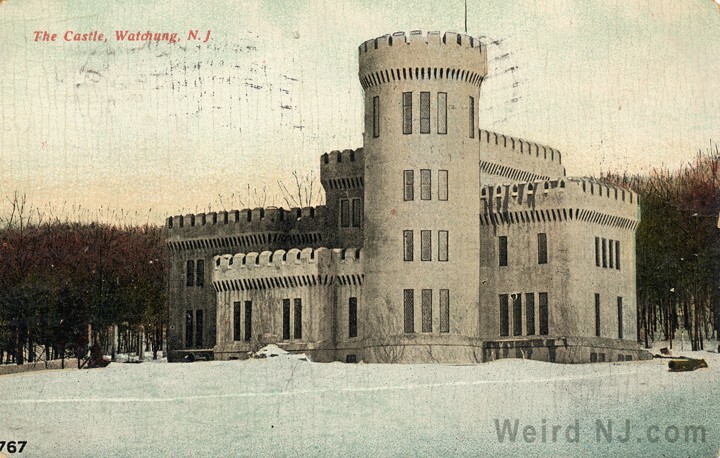 The developers offered the castle to the town of Watchung, and tried many means to preserve it, but the town wanted the developer to renovate it before taking it over. In 1969, some residents of Watchung considered the place “an antiquated white elephant.” Others tried to have it converted into a library or youth center. Some even suggested preserving it as a “controlled ruin,” much like Ellis Island had been. After an inspection of over 4,000 community members, councilmen and developers, it was decided that vandals and neglect had been the mitigating factors as to the decision to raze the “obsolete and dilapidated” landmark. The castle was slatted for demolition, but on Oct 26, 1969 a suspicious fire broke out and gutted most the building. Firefighters reported a strong smell of kerosene, and arson was suspected. When the blaze was over, the once opulent castle was transformed into a battered ruin. Unfortunately the fire insurance on the castle had been cancelled. It was discovered that four large tanks of fuel oil stored on the property had been opened prior to the blaze. The town’s residents were drawn to the castle once news of the fire was announced—first curiosity seekers, then tourists and probably a few of the vandals to get their last glimpse of the famous castle in the mountains, now just skeletal remains. The castle was bull-dozed in one day, and most of the 4-foot-thick stonework was buried in the nearby ravines and valleys to make way for new developments on the property. 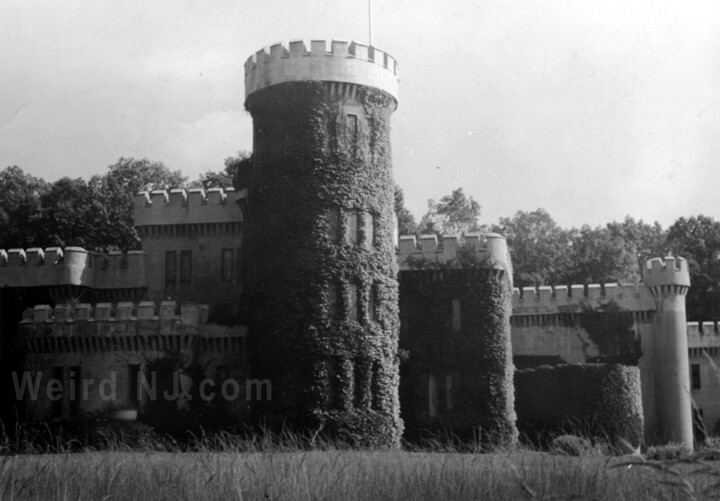 Moldenke Castle is now just a footnote in the borough’s history. 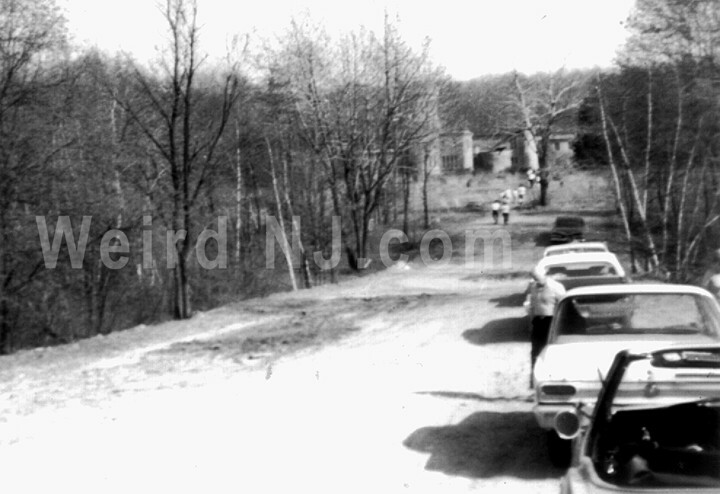 One place that had many stories back in the late 60’s and early 70’s was the Watchung Reservation area. My personal favorite was the castle. 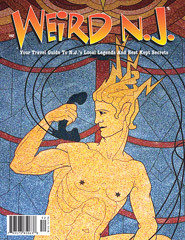 The story was that a rich family that wanted privacy had the castle moved from Scotland, stone by stone, and reassembled in Watchung. They hated visitors and would release their vicious guard dogs on any trespassers or shot at them from a small cannon mounted on the walls. We would drive up the dirt road at night with our lights out until the castle was in view. Then we would park the car and see if we were brave enough to walk up to the walls. The castle was a tremendous full blown castle, which was brought over block by block from Europe. 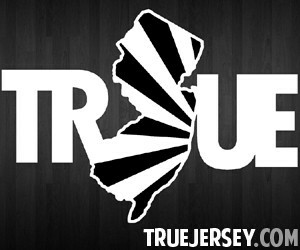 It stood for years, until it suspiciously burned down back in the mid-seventies. Word has it that a man named Hirsch purchased it from Moldenke, and he was a scientist instrumental in the development of the atom bomb. He, like others associated with the bomb, lost it after he realized how many people it killed in Japan. 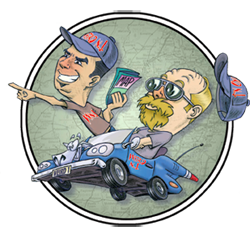 He became a recluse and gave credence to the term mad scientist. When we would go up there the place was in ruins but still intact. I can tell you that he was a scientist for sure. One of the large wings of the castle was loaded with broken beakers and row after row of laboratory equipment. The staircase to the upstairs was blocked off with a grand piano that had been vandalized and pushed down the stairway. The basement was said to be a dungeon. 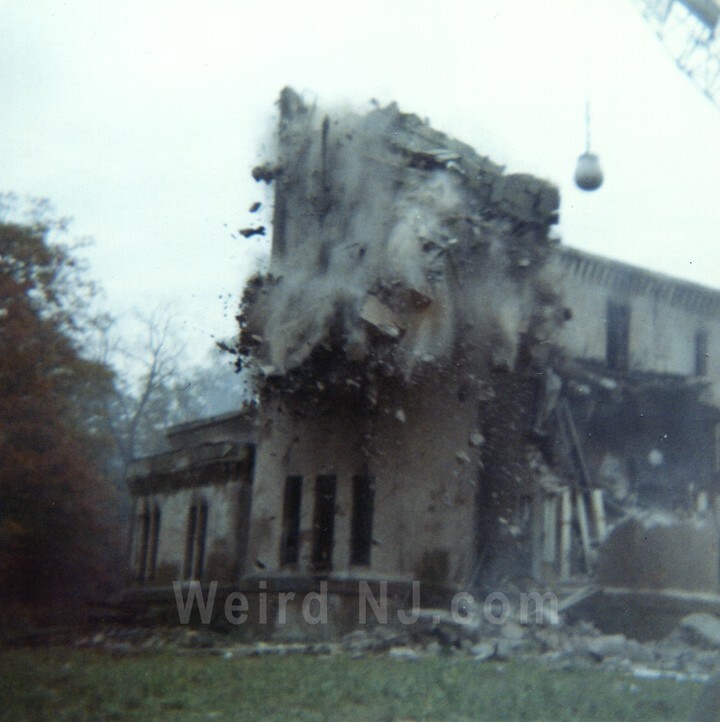 This entry was posted in Abandoned and tagged castle, Plainfield, Watchung. Bookmark the permalink.